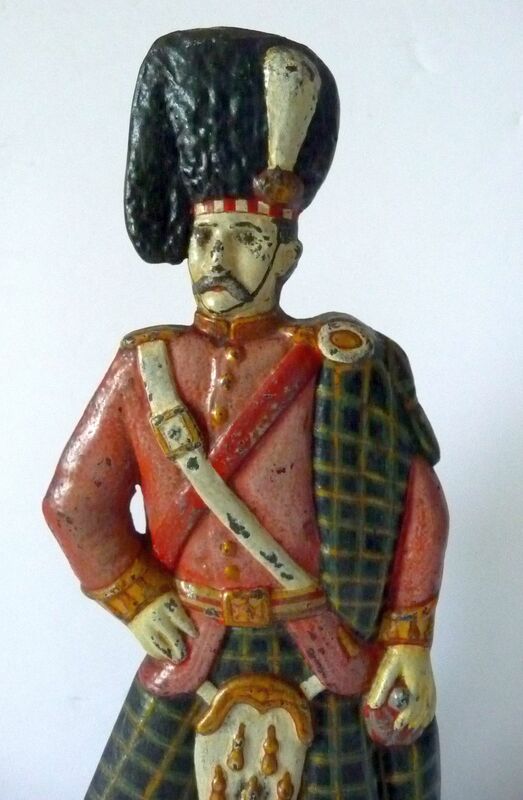 English or Scottish, circa 1870. 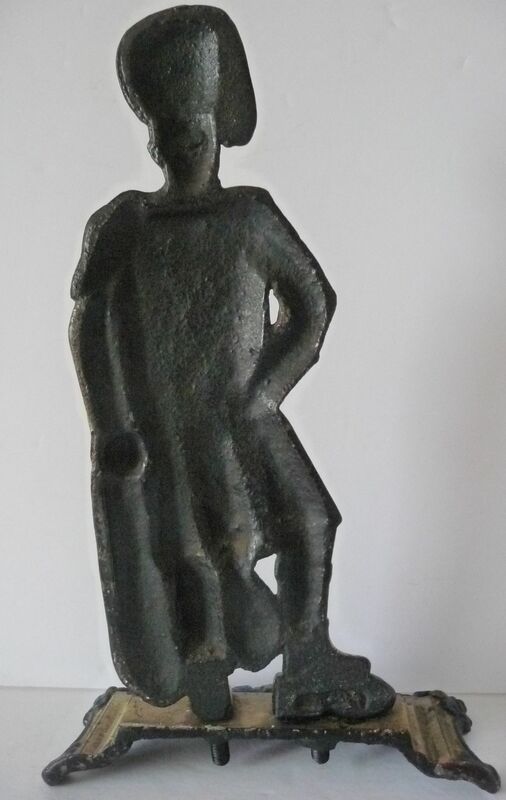 Two piece casting. 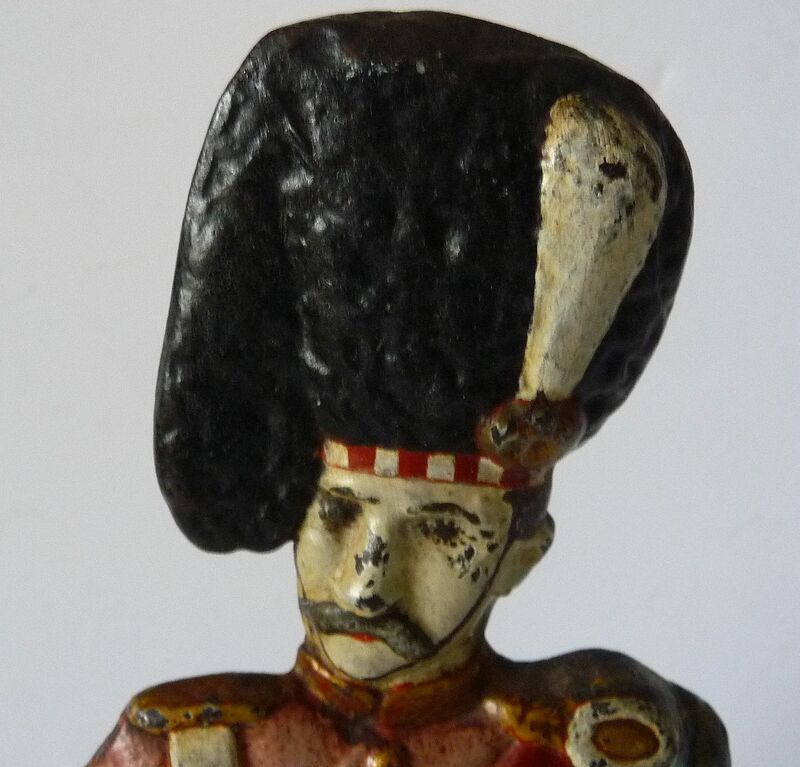 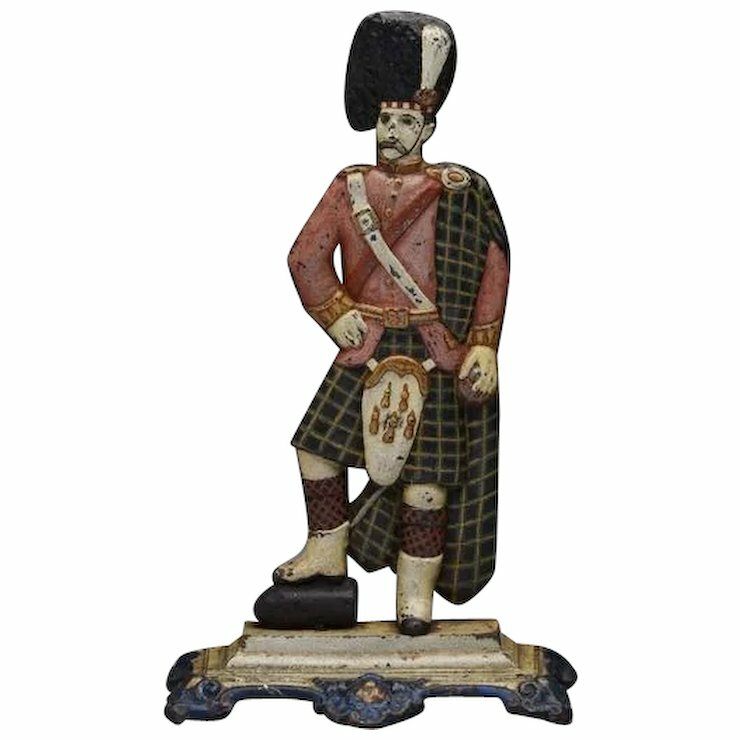 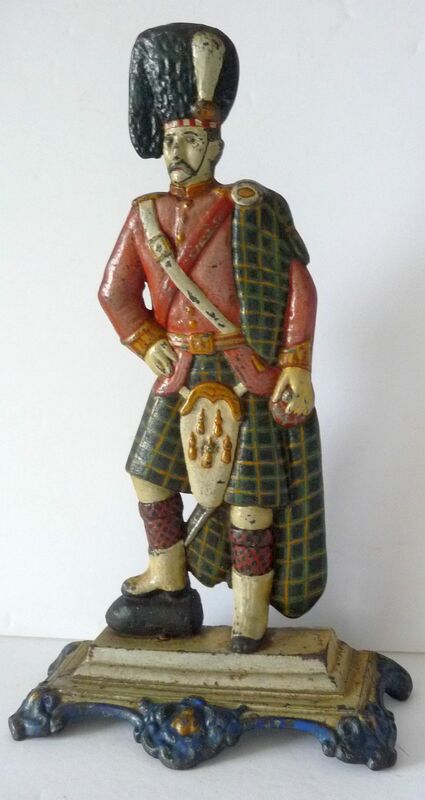 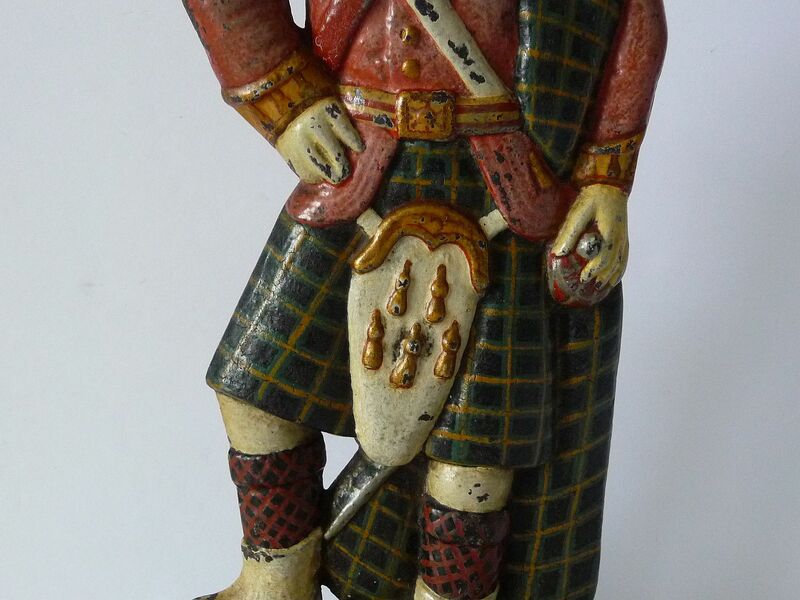 Unusual 19th century Scottish cast iron Highland guard door stop or door porter; Depicts Highlander standing on ornate base in traditional Highland dress wearing a kilt with scarf and hat and holding a staff. 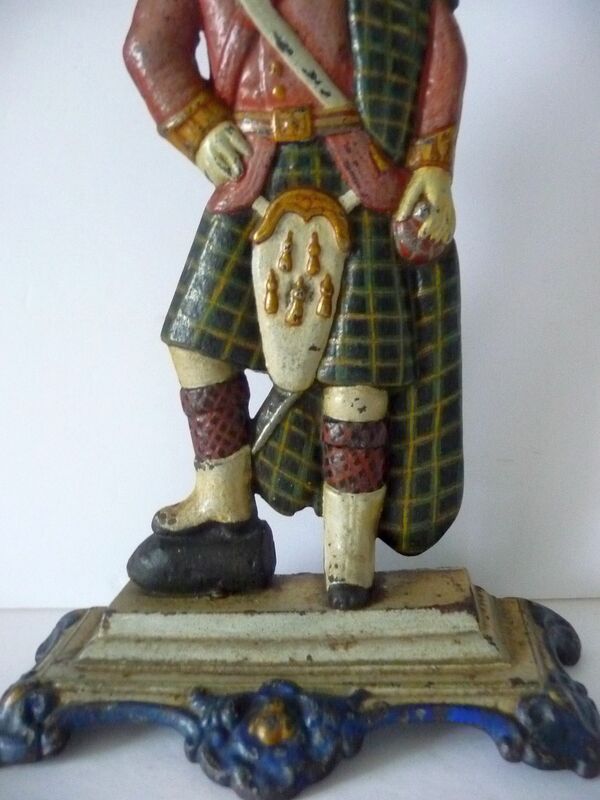 Done in superb plaid colors and retains its original colourful polychrome decoration. 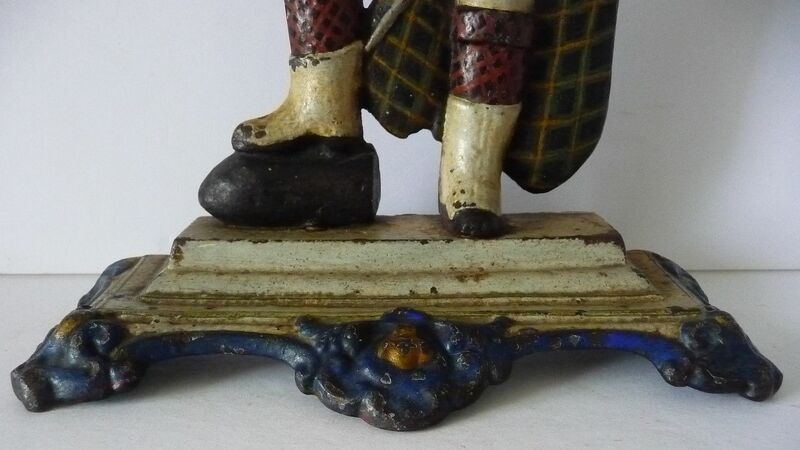 Condition: (Excellent).. Good condition commensurate of age and use. 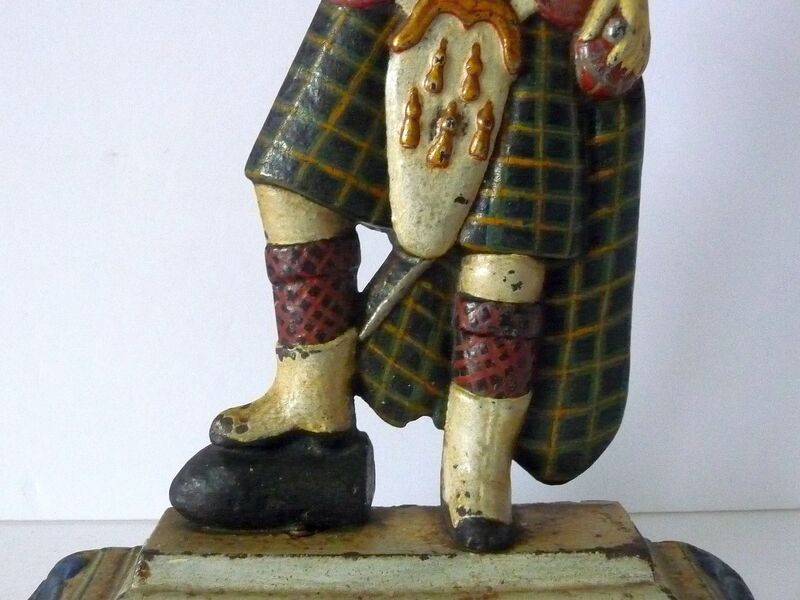 Item Dimensions: Height 12", Width 7-1/4" Depth 2 1/2".